Our Life Down Unda: homemade. A few days after Lachlan and I returned from our holiday, I started him on solid food. 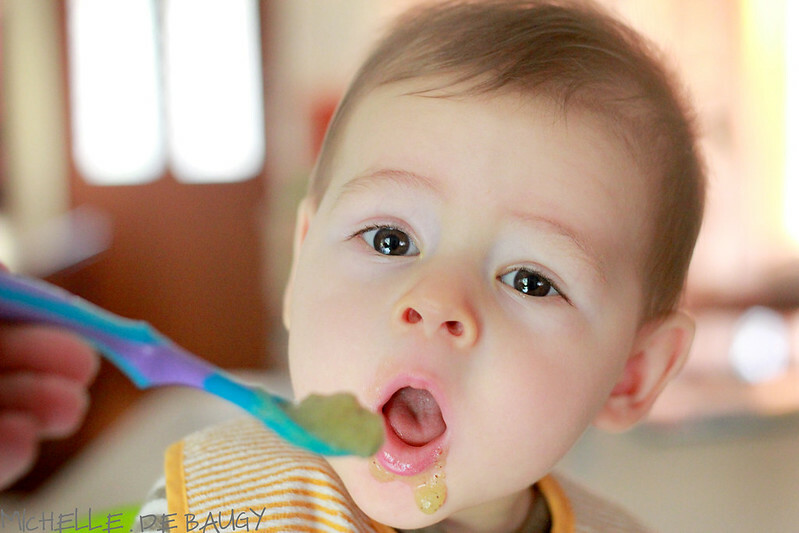 There are many different opinions out there regarding the best time to introduce solids, but the typical recommendation is anywhere from four to six months. 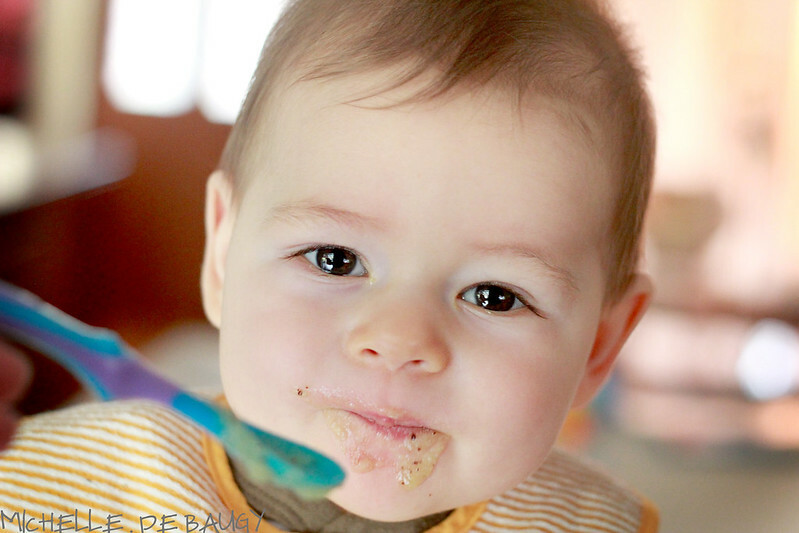 Originally I wanted to try Baby Led Weening, where you actually skip the pureed food phase and move straight to letting your baby feed himself finger foods. Lachlan, however, had different ideas about that. He was soooo ready to start solids but just could not figure out how to get food from his tray to his mouth. He was just so frustrated so I scrapped that plan pretty quickly and started him on pureed food as well. After buying a few different things, I realised just how expensive baby food is and decided I might have a go at making my own. 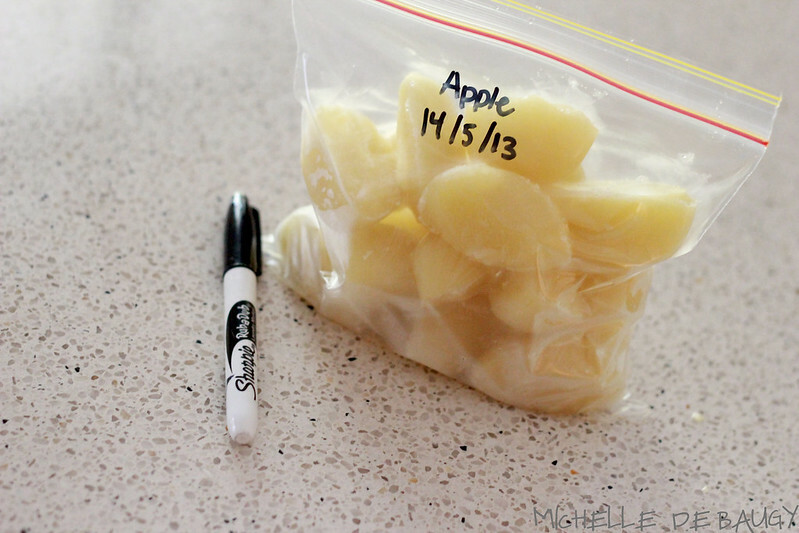 Turns out, making baby food is really, really easy!... and cheap! Of course, I still use pre-made baby food when we are out and about, but my homemade stuff has been really good for when we are at home. 2. 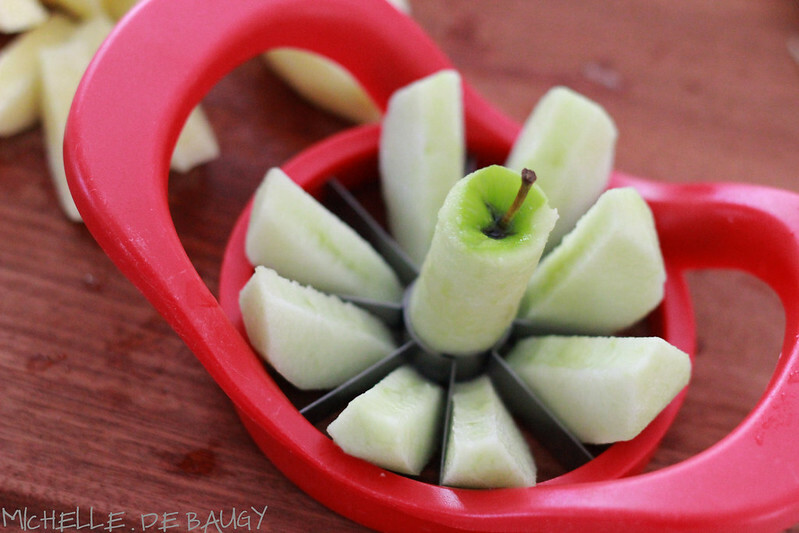 Peel fruit/veggie if required. 3. Core fruit if required. 4. 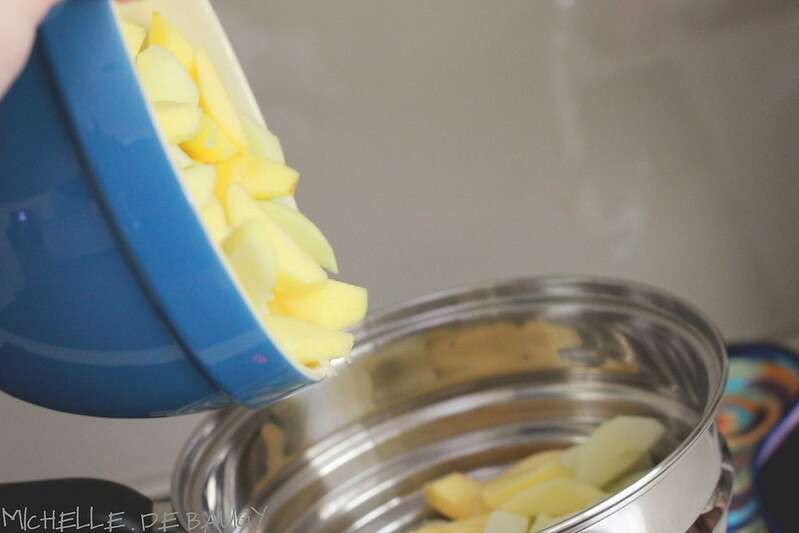 Pour diced fruit/veggie into your steamer. I steam pretty much everything I make him but if you don't have a steamer you could always boil your food. This is what our steamer looks like. 5. 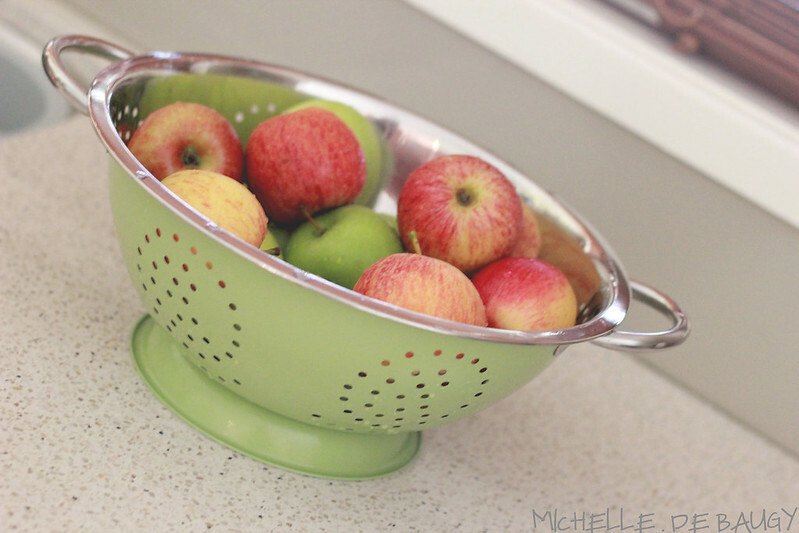 Once your food is nice and soft, pour it back into your bowl and wizz it up! 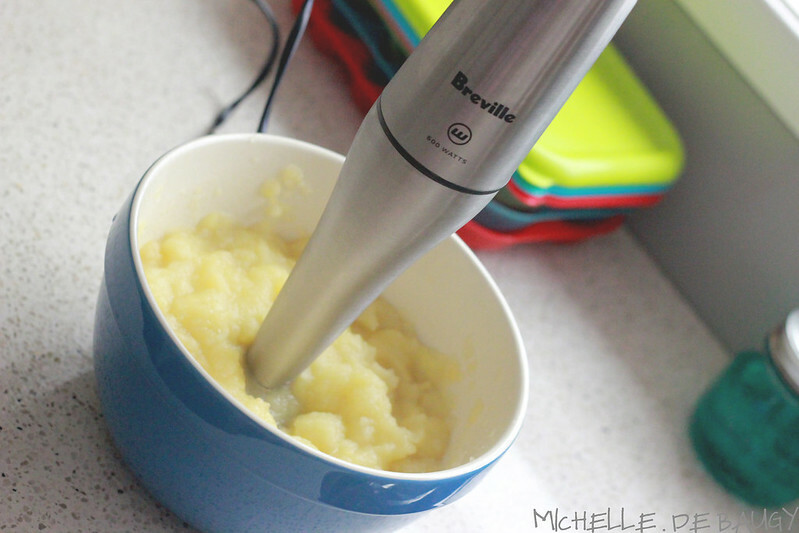 I use this Breville Wizz (sooo easy to use and easy to clean!) 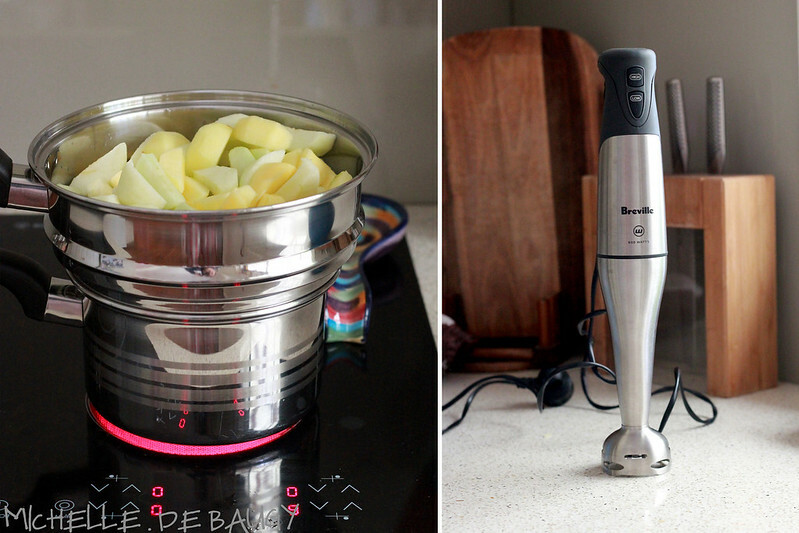 but if you don't have one of these, you could always use a blender. 6. Blend food until you get the desired consistency. 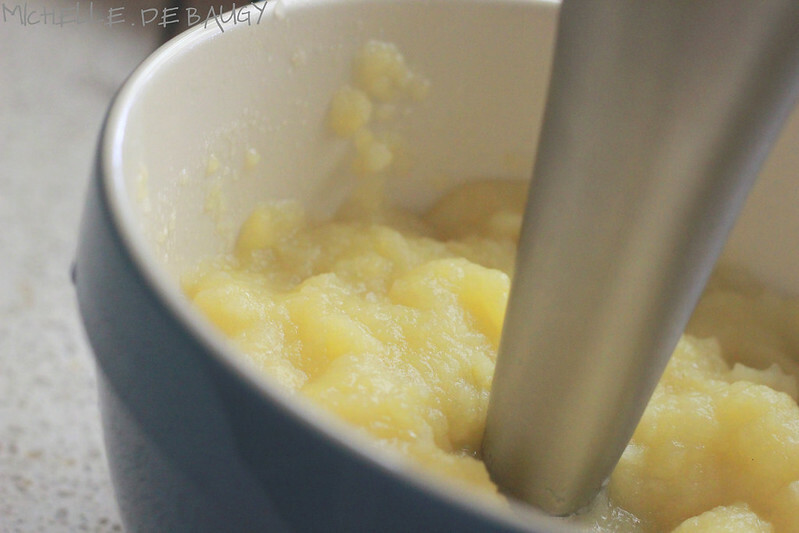 The good thing about making your own baby food is that you can control the consistency of the puree. You might find that you need to make it thinner and less lumpy when you first start and can do this by adding little bit of breast milk, formula or water to thin the puree. 7. 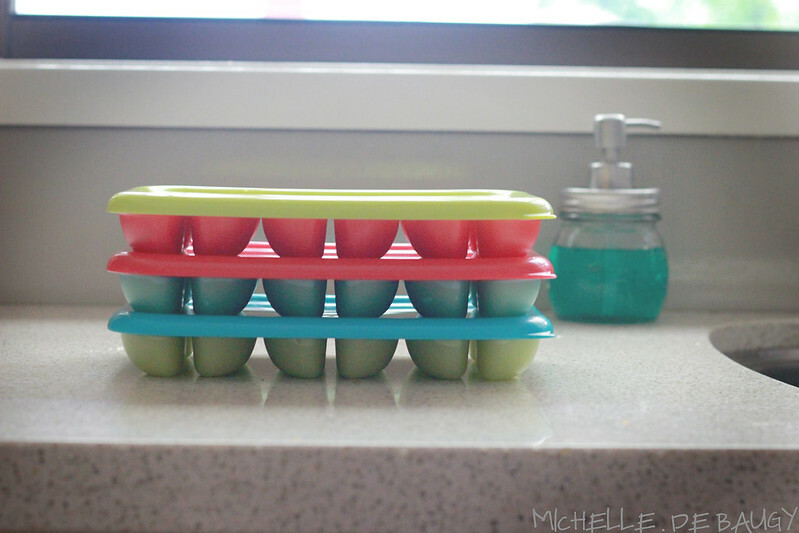 Scoop mixture into freezer trays and place into the freezer until frozen. I got these freezer trays as a babyshower gift (thanks Peggy!) and absolutely love them! They are easy to use, dishwasher safe and make the perfect size food cubes. I also love the snap on lids and the fact that the frozen food cubes pop out so easily. 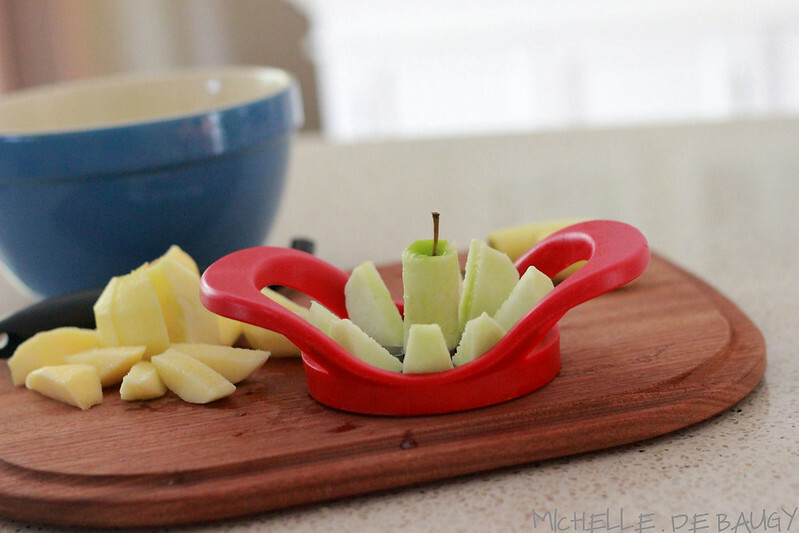 However, if you don't have something like this, a simple ice cube tray would work just fine. 8. Once frozen, pop your food cubes out and place them in freezer safe baggies. I would also recommend labelling the bags so that you can remember what each item is and when you made it. 9. When you are ready for a meal, simply pull out how ever many cubes your baby will eat (Lachlan has four cubes at each meal... big eater!) 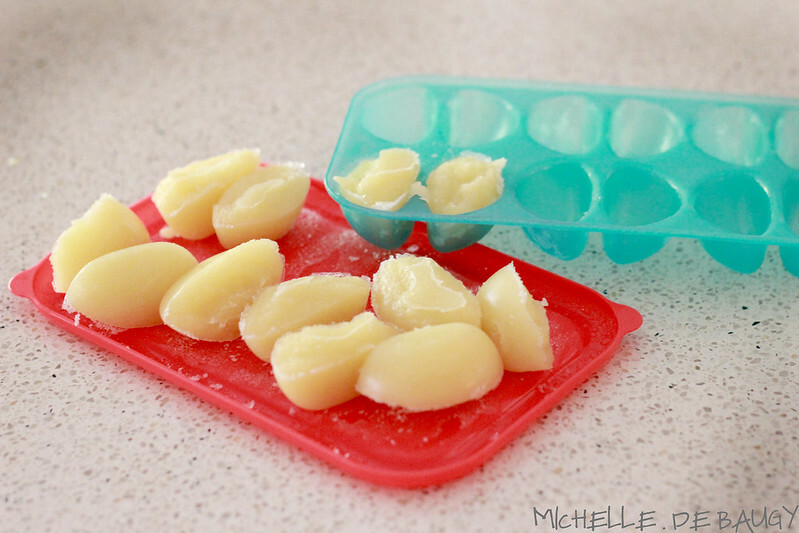 and defrost them by placing your container in the microwave or hot water. The fun thing about making your own food is that you can mix and match flavours as much as you like. 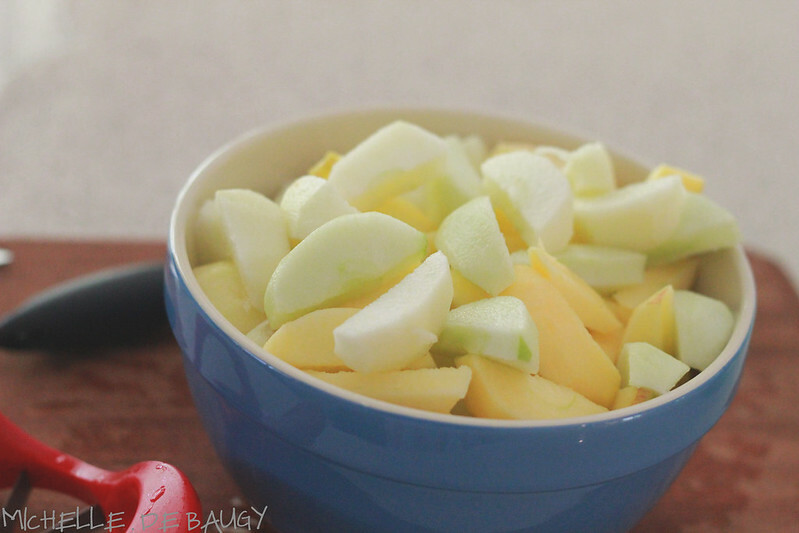 This morning we had apples and kiwi fruit with a dash of cinnamon for breakfast. 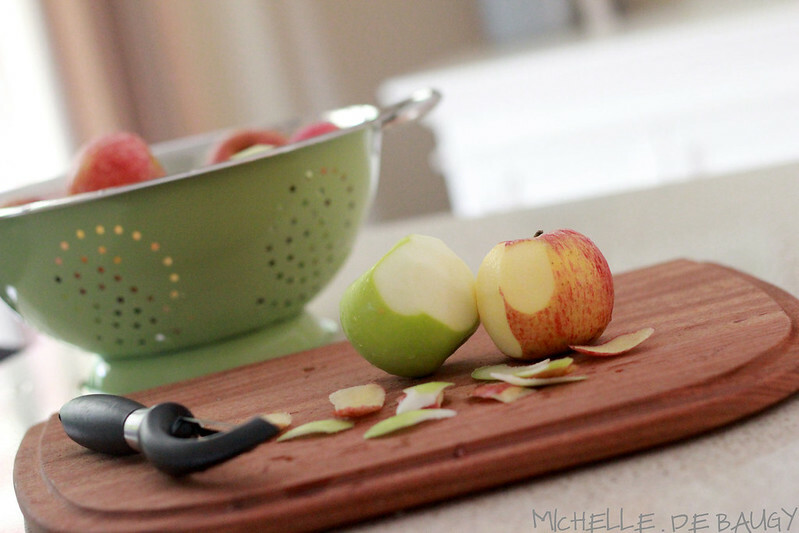 I used apples as an example for this post, but some other food ideas include: pear, sweet potato, pumpkin, broccoli, peas, green beans, spinach, carrot, avocado, chickpeas, banana, mango, apricot, peach, nectarine, berries, kiwi fruit or any meal you or your family eats! Yesterday I made a big batch of very mild turkey chilli, pureed up the leftovers and froze it in cubes just like I did with the apples. So there you have it. 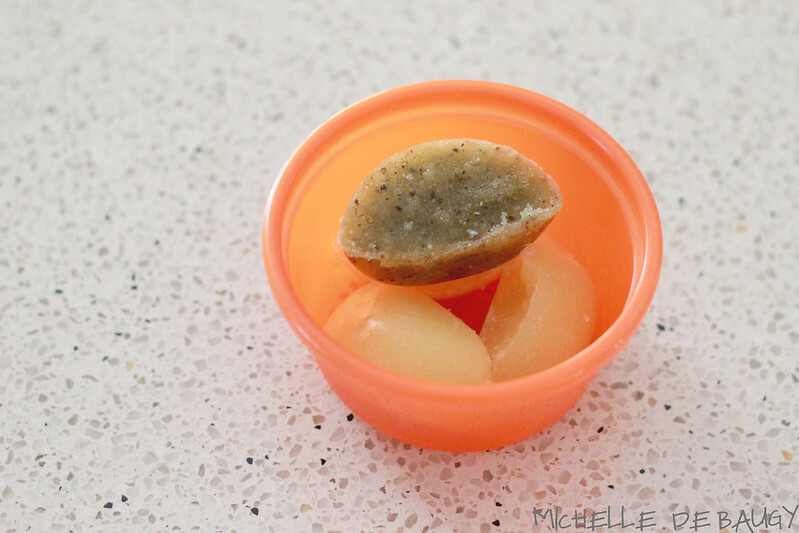 Making baby food is super easy, cheap and can be done in bulk; saving you lots of money and giving you more control over exactly what your baby is getting. 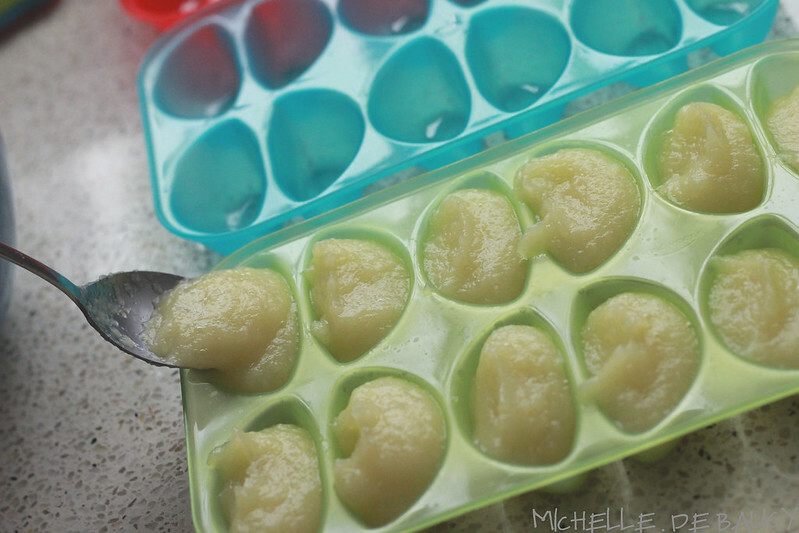 ** Happy Baby freezer trays can be found here.